That was basically the routine for me, every single morning of my life whenever I bumped into a teacher or the principal. Pretty straightforward and ‘old-school’ I would say, however for me, it is a courtesy and doing so is my pleasure. Born and raised in Kuala Lumpur, life could be very boring for the past 5 years. Since the UPSR (Ujian Penilaian Sekolah Rendah), I was admitted into Victoria Institution. For 5 years, I went through the highs and lows of my high school life and now I am in Form 6, taking the STPM (Sijil Tinggi Pelajaran Malaysia) examination in the same school, Victoria Institution. It never hit me to take STPM until my grandfather shed some light on me about the STPM examination. After receiving my SPM (Sijil Pelajaran Malaysia) results, I had three choices to further myself into tertiary education due to my shallow results, the UPU system, STPM examination, or private colleges. I took all three choices seriously. The UPU system is roughly a system whereby it gives SPM graduates choices to study locally either in Diploma or Asasi. The choices given by this system seems somewhat random because you will end up with courses that are not really related to your interest. I did not consider depending on the UPU system at this point. Leaving that behind, I found myself in a crossroad. It was either private colleges or STPM. It took me a month to decide which one was the suitable choice. Coincidentally, the STPM was having a change in format and syllabus. The change in format and syllabus made the older one obsolete. 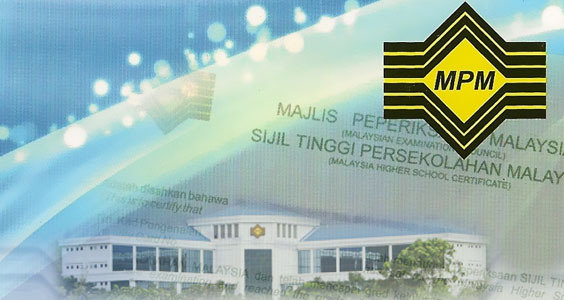 The older format was called the ‘Terminal System’, which was very similar to SPM format. The students were required to study for a year and a half, and by the end of the duration, STPM examination would take place. However in the new and revised format, in a year and a half, the students will undergo three short semesters, where the syllabus for every subject in STPM are separated into three parts. By the end of each semester, a major exam takes place. The average marks for three semester is calculated and that would be your CGPA. At first, this big change in format was a handful to take. But, after letting it to sink in, it made sense. The new format is very similar to the Foundation courses in the private colleges. It took me a while to think about it. I compared the financial cost for STPM and private colleges. I had a hard time comparing those two, checking Mr. Google for experiences in both fields. There was really a major difference in lifestyle, but the outcome was somewhat similar. The only thing is, STPM prepares you generally for almost any degree course. In contrast to that, private colleges offers a wide range of programs that prepares you specifically for the chosen course, resulting a narrow range of degree courses. At this point, I was not really sure of what sort of career that I will be taking, and my mind was kind of fuzzy at that moment. Confused and lost, it took mae one week to decide what kind of career that I am going to pursue. In the end, I choose to take up STPM. I ended up choosing STPM, and decided to follow the Science stream. There is a lot of combination of subjects in this particular stream, the common one being the “Physics-Chem” and the “Bio-Chem”. The former one requires you to take Physics, Chemistry and Mathematics while the latter requires you to take Biology instead of Physics, plus the other two subjects mentioned after that. Upon making the decision, something hit me in the head. I was not good at Biology at all! So I took the “Physic-Chem” combo. 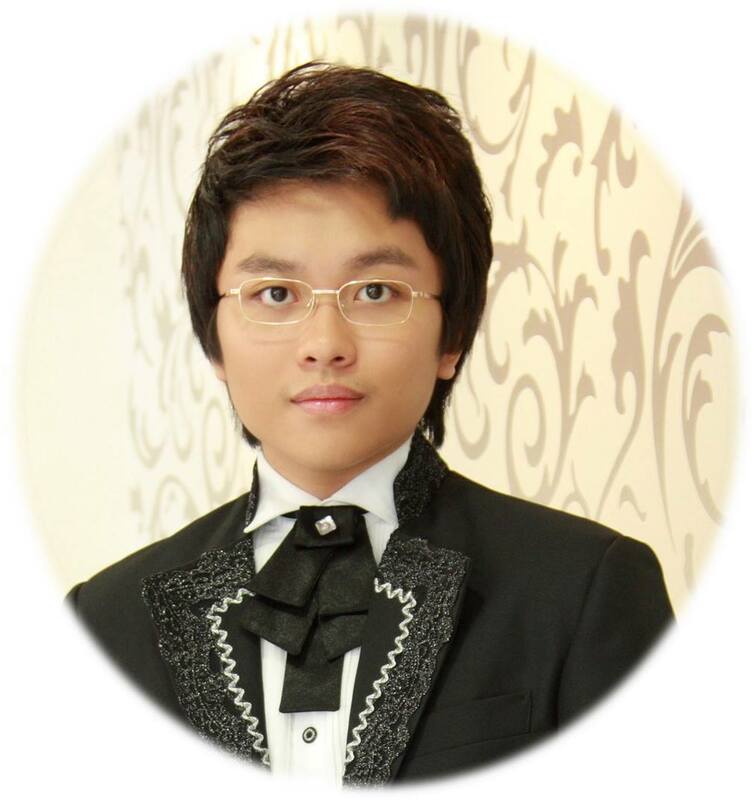 A friend of mine, Lim Yu Wei, took an unorthodox combination which some might consider crazy. He took up Biology, Physics, Chemistry and Mathematics. It is possible to take that kind of combination, however not recommended to the student since there are more than a handful of subjects to juggle. Our school allowed this combination, but it is rarely taken up by the students due its difficulty. Other schools which offers STPM mostly have these three combinations in the Science stream. That basically sums up the Science stream in STPM. When I think about it, the subjects that are offered in the Science stream are quite general, but the depth is quite deep. There is a lot more to be learn in STPM in comparison with ‘Asasi’ or Foundation. I was not quite sure about the reason behind this, however I guess it’s the standard that has to be maintained, even when there is a change in the format. The fact that STPM has a reputation of being tough, rumours arise like bubbles in hot springs and the biggest one is “STPM is going to make you suffer because it is hard.” This is not so true however. STPM is hard but it is totally up to the students to conform and suffer or to rise above that. It is a matter of technique that lets you through this ‘suffering’ examination. Other rumours pretty much revolves around the previous one, saying it is hard and unmanageable for a student at the age of 18 and 19. Personally, I think it would be better off that way because it will give a valuable lesson to those who take up STPM. In other words, you got to prepare yourself for whatever that comes your way. Despite of all the load that takes toll on STPM students, I can proudly say that we are a bunch of happy students. In contrary to common believe, we are happy students at heart simply because it is like high school all over again. Back in our uniform that we are not so fond of, reminds us again that we are still young. Life in the Form 6 is not as mundane as you think it is, very exciting, somewhat weird and sometimes dangerous. Very adventurous I would say, however because of this, the importance of our studies were temporarily stripped away from our brains, until the mock exams come. Putting aside our happy yet silly lives, lets focus on what STPM is comprised of, the subjects. As a Science student, I took the ‘Physics-Chem’ subject combo and therefore I had to study Physics, Mathematics, Chemistry and the General Paper. STPM is well known for its dense syllabus for each subject and with the new modular format, students were required to learn at a very fast rate. In the new format, the old syllabus is split into three parts to accommodate for each semester. This applies to every subject in both Science and Arts stream. Hence, we will not be referring to the materials that had been learnt in the previous semester. More like a take-and-throw routine, things that has been learnt in first semester would not be brought up in the second semester. Even if there is a relationship between the topics, it would be negligible. As I took up Elementary Physics, it is split up into three parts, Motion & Thermodynamics, Electromagnetism & Optics, and Nuclear Physics & Quantum Mechanics. So I would have done those three separately and I can tell you that each one is very dense and requires you to swallow it up within six months. A daunting task lies ahead of me and I was unsure if I can pull it off by the time the final examination claims me. Pretty much the same for Maths, Chemistry and General Paper. Talking about the final examination, the format for the final examination is very new to me as each subject has only one paper. Unlike SPM, each subject may contain several papers to sit, and each subject differs in the number of papers to take. The Science subjects in STPM, Physics, Biology and Chemistry has a common format. The paper is divided into three section, Multiple Choice Question Section, Subjective Questions Section and Essay Question Section. All three must be done within an hour and a half. This seemed very crazy, but if you focus and persevere, it is possible. By the end of the exams, our hands would be worn out since we are writing fast to save time. Because of this, I have to change the way I’m studying. Instead of focussing on the vast content of each subject, I focused more on the important formulas and the frequently asked questions. STPM may overwhelm you with the vast content, but don’t be disheartened. My advice is do 50 questions from each subject daily and time yourself. Consistency is the key. Be consistent and you’ll find yourself some space to breathe in the end. Sometimes, we are taken aback by the difficulty that we are facing and try to run away from it. Instead, face the truth, be determined and have the will to go on. Taking tuitions outside is advisable, but do not depend too much on it. Study often and you’ll get through. Sounds like it is going to be mundane, but the fact it is not. Don’t bend yourself to the books solely and lock yourself from the world for good. Be resourceful and smart, find questions from different platforms like A-levels, Foundation programs and Matriculations. From there, you will get a wide array of questions and answers. Use the internet and find papers from different states. That is how you could study in STPM, for the Science stream as well as the Arts stream. Honestly, the teachers are not going to feed you with the knowledge needed so you need to find your own way out of the mess. Do not neglect them however, because sometimes you need their help. I used to ask teachers for papers from other schools because it is in their field of knowledge. Utilise things around you to aid you in quest for success. Up until now, I still feel that the Form 6 in schools in Malaysia is detached from the school organisation. Back in the 1950’s to the 1980’s, the Form Six were considered the eldest among the high schoolers. However now, it just seems like a far cry as the Form 5 is considered the eldest and the Form 6 is a separate institution. In Victoria Institution, the efforts of putting the Form 6 back into the school organisation is fruitful, events that were organised by the Form 6 were openly accepted and celebrated. During sports day, the Form 6 and the Form 5 are placed in a single category. The Form 6 integrated well with the school in Victoria Institution. Apparently, the Form 5 do not have a proper student council or a student body. Only the Form 6 does. From time to time, representatives from the Form 6 student council discuss about yearly events with the Form 5. However, due to the density of STPM, the Form 6 students rarely participate in Form 5’s huge event. The Form 6 students are often reminded to study rather than getting involved with the school activities. We are not forced to become bookworms, but to prepare ourselves for whatever is coming. This preparation and constant reminder kept us alive and will forever teach us a valuable lesson, which is to be matured. STPM graduates would normally end up doing a degree course in a private university instead of a public university simply because the chances to get into public university is very low. Appealing to them would be futile. Even if we got the offer to attend public university, the courses offered are always not related to us or our interests. Private colleges became our option in the end. Whether it be the private colleges or the public university that I end up in, the support from several dedicated teachers that I received is what I really like. Even though you are supposed to be on your own, some teachers would really help and push you till the very end. These teachers are selfless and would do anything in their power to help us students achieve a high CGPA in STPM. I would like to thank them and I am very grateful to have them as my teachers. Then again, even having such people to help us, the STPM exam papers needs to be revised. With the current format, the questions asked are very objective and requires you to read a lot. None of them piqued my interest in Physics, Chemistry or even Math. Everything asked was based on facts and nothing were subjective or opinion based. The “Subjective Questions” section in our papers does not prove its purpose and instead asked more factual question. With a little bit of opinion based questions in STPM, it would give us a little room for us to breathe and would probably spark our interest in our respective subjects learnt. I would be happy if they would do that. Here I am, typing this essay on a laptop, expressing how I feel. To be honest, I feel grateful and happy to have done STPM. A lot of memories were made along the way and not to mention, the amount of silly things we did back then. It was a journey for me to reassure myself about what I was going to do next. STPM made me think maturely and it certainly did taught me one important lesson, to persevere and have determination towards your goal. Here is a thing to those who have made it to the last passage of my essay, do not underestimate luck and when you have it, use it to your fullest because that may be the last bit of luck you can ever get. I am not asking you to rely on it, rather make use of it when it comes. Always put effort into anything you do and seize the chance if you see it and don’t let it go! Think of this essay as guide to peer into and hopefully, it had helped to clear out a bit of things. I wish you all good lives and have fun along the way. 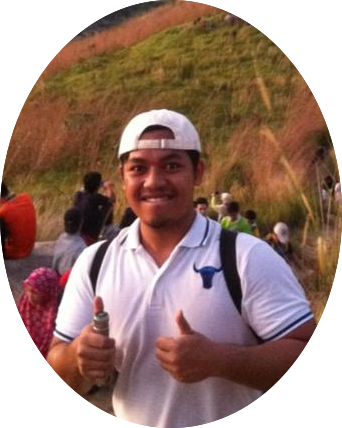 Abdul Aziz bin Azman is currently a foundation student en route for a Oil & Gas Process Degree at UniKL. 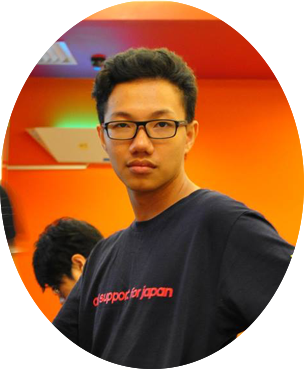 Hailing from the famed SKBD and Victoria Institution, Aziz claims that he might just be one of those “DotArds”, spending much of his holidays on DotA 2 and Warcraft 3 of top of the chess and reading that he does in between. Sparked by reading Stephen Hawking in fifth form, Aziz’s love for physics has now become unquenchable. “What university is that?” “Where is it located?” “Never heard of it lahh.” These are just some examples of statements/enquiries I, a future Software Engineer, received when proudly proclaiming I’m from Universiti Malaysia Pahang (UMP). Yes, you now might have a mysterious voice in your head saying the exact same thing. Well mates, the non-glamorous UMP is situated on the side of Tun Razak Highway, Gambang, Pahang in Malaysia. Basically, it’s in a random Malaysian rainforest. Animal sightings are a norm, usually just wild boars and dogs, and occasionally more exotic ones such as snakes, lizards, monkeys and once a Kongkang (Slow loris). Like many other poor souls out there, my prayers weren’t answered. The dreams of threading into the hallowed grounds of Universiti Malaya etc now in shambles. Nevertheless, dreams can be rebuilt, restructured, reconstructed and reprogramed. Fantasies aside, I come from the widely praised Malaysian Matriculation Program, at least that is what they claimed. For me, that one year at another random Malaysian jungle was absolute torture, classes non-stop from 8am to 5pm, lab reports every day (Science stream), quizzes every hour, study every minute. Well it does give the advantage of 1 year compared to Form Six. A year and a half (3 semesters) has passed since I opened the door to my hostel room. Compared to my tenure at Matriculation, life at UMP was easy, I only have 16 credit hours average per semester in my 3.5 year bachelor’s degree course. I do not face the daunting stress of medicine courses, nor do the memory crunching Law degrees, and neither do my fellow university mates. Yes, my university is filled with future engineers ready to innovate the future or a varsity filled with lazy people looking for ways to get things done easy, depends on which way you see it. Judgements aside, we all live mostly in harmony no matter our ethnicity or background brought together by our mutual hatred of our Student Council members and Students Welfare Department. Moving on, as students, we normally would be busy rushing deadlines and completing assignments. Typical, but then again as a Malaysian, we like to compare things. Don’t tell me you never compared our durians against foreign species of durians. Yes, but here is a norm to compare our busy schedule. Who is free? Who is busy? What course is that fella from? Ubiquitous questions thrown around to investigate each other’s cramp schedule, with many agreeing that Engineering Management students could practically sleep through the weekend without worrying about Monday, a luxury to the others. Talking about schedules, what would fill up a Software Engineer’s schedule? Most people would probably guessed we are a group of geeks with thick lenses staring at a desktop typing the enigma code out. Nope, half of my syllabus is actually project planning and management. I was surprised to find out that I’ll be learning ways to plan a software project and requirement elicitation in my first semester. Of course we still learn those weird codes and computer languages. But as I learn, I realize Software projects are not like typical engineering projects, and require different set of procedures to run due to the more unpredictable and competitive world of cyber business. So don’t go around imagining us as some fat, ill managed slob slurping down Pepsi while burping out lines of incomprehensible codes. We are more capable than you are, jokingly of course mate. Unfortunately for us, even with our busy schedule, we’re expected to make time for co-curricular activities. Sounds normal? Here’s the catch, points will be gathered based on our involvement in the activities. Points gathered will be used during application for next year’s hostel arrangements, and there is a minimum threshold you need to pass o be eligible. My first year’s point threshold was a record high, 3900 points, as compared to the previous year, 2100 points. To make this look daunting, an international level involvement only yields 200 points. Oh and Malaysians’ love for comparing does not spare this either, competing to see who has the most points. Well, this is what I got myself into – an average kid suddenly thrown into a whirlpool of expectations and social competition. Then again, it was no less what I expected, these norms were already taking root during Matriculation. Competitiveness between students are high within public institutions knowing only the best are acknowledged here. I myself expected a tough journey ahead before putting on the tie for the orientation. You might say, “mate, your university’s rank is over 2000! ?” I tell you, education anywhere is equal, it’s the experience and things you learn that are not from your lecturer’s that’s worth it all. I came here with expectations for myself that I wish to be met, UMP is just a training arena. So far, life has been kind enough, bumps along the way but nothing too rough yet. Socially I’m doing well, my trilingual (as a Malay) ability distinguished me well among the students here. Education wise, I’m just average, nothing too fancy. I’m here to mature and experience, a Degree certification is just a paper if you can’t even talk to the stall cashier, let alone some company’s CEO. My advice to future university students, look to improve more as a person, it’s more important than getting that Upper case printed “A”. Also, try not to forget to have some fun, this might be your last time where you can do so at full capacity. Those who are prospecting their future with UMP, well don’t put your hopes too high, it might disappoint you a little, it’s a public university after all. 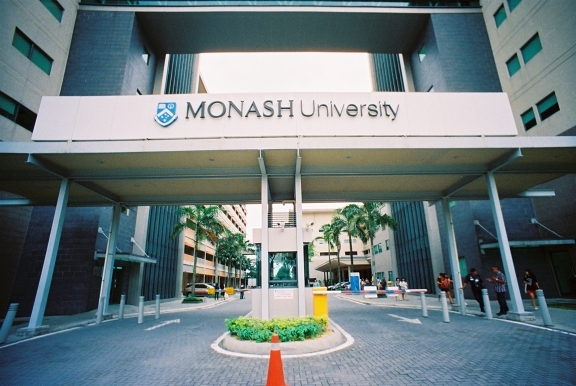 Then again UMP might be better off than a few other public universities since it’s fairly new, hence better facilities. 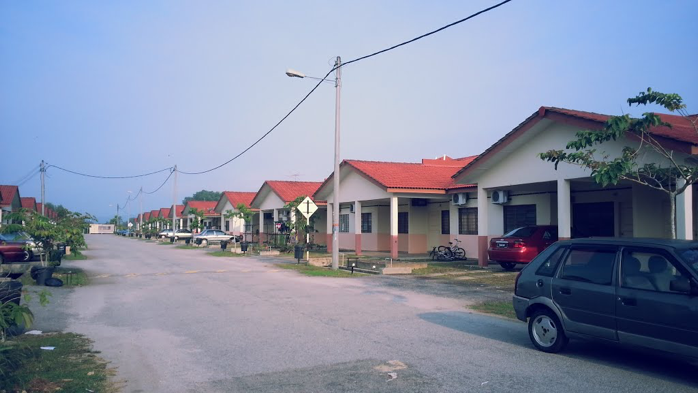 Its close proximity with Kuantan (30 minutes’ drive) does not really isolate it from civilization too. For enquiries you can contact me through my Facebook (Mhd Qym) or through Twitter (@MuhdQaiyyim). Just drop me a message or anything, I’ll try to reply as soon as time allows me too. So I’ll sign off by saying, good luck and may the force be with you. 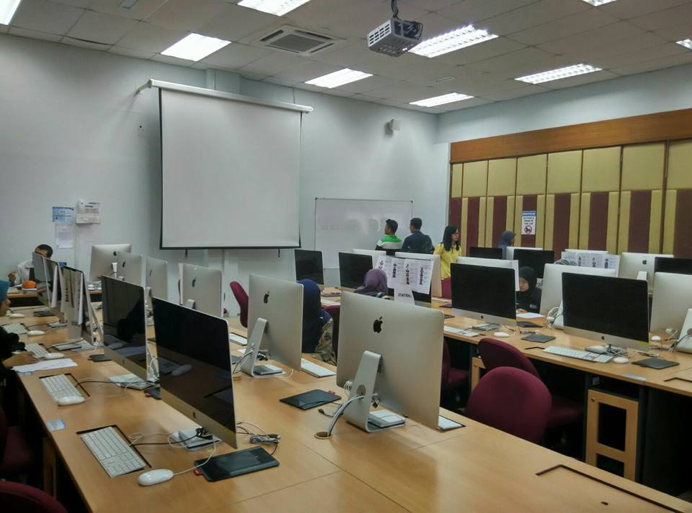 Muhammad Qaiyyim is currently striving for his Bachelor (Hons) in Computer Science Majoring in Software Engineering at Universiti Malaysia Pahang. A true geek powerful with force. Frequently spotted at the basketball court or anywhere that resembles a dojo, with a laptop closeby. 1. 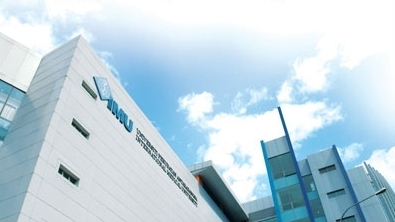 What was included in the application process to IMU? Apply online thru www.imu.edu.my. No personal statement is required although we need to sit for the IELTS. 2. What are some of the activities that you participated that you think helped your application? I was a member of the Pre-Medical Society in Taylor’s College Subang Jaya. Participating in activities organized by the society gave me a chance to be exposed to people who are less fortunate. I was also a member of the St John Ambulance of Malaysia. I learned a lot on handling emergency cases, and had the chance to talk to medical personnels. The interview session was quite tense and awkward because the interviewers kept on looking at each other when I answered their questions. Be prepared to be bombarded with a lot of questions on why you want to be a doctor. The last question is usually on your critical thinking. “Will you accept gifts (eg: BMW car) from your patient’s family member as a token of gratitude?” Don’t be surprised when your interviewers ask you, “what about a small card or a fruit basket? ”I nearly fainted trying to tell them my points. ECAs should be able to help you a lot on answering the questions. Do well academically (at least AAB for A Levels) if you’re planning to apply for the PMS (Partner Medical School) programme. Good luck and have fun! You may find examples of the critical thinking questions online. My friend who is a final year Medical student told me that IMU seldom change their critical thinking questions. All the best! 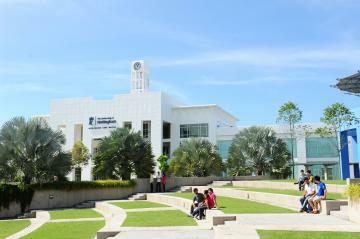 The application process to study pharmacy course (MPharm) at University of Nottingham Malaysia Campus (UNMC) includes a personal statement and a reference letter from your referee. An interview will also be held before they give you a conditional/unconditional offer. I believe that the personal statement is what applicants are always worried about. It is always a devil in the job since it does not only require academic-related content but also non-academic-related content such as what inspires you, why you are interested in pharmacy, and so on. But don’t worry, UNMC’s personal statement only requires applicants to tell them why you have chosen to study the course that you have applied for, what made you choose UNMC and what your future plans are. You only have to answer their questions in essay form with not more than 4000 characters. The personal statement is actually a reflection of yourself, so a simple essay with short, brief sentences will do! The most important thing is for the reader to understand the messages you are trying to convey! On the other hand, do not worry about your reference letter. All you need to do is give one of your lecturers the reference form, which can be found on the UNMC website, and they’ll do the rest for you. (: Do also take note that your lecturer might need your CV or any relevant documents in order to write the reference letter. I was notified to attend the interview session 2 months later. They have introduced a new interview system this year. We were given some short briefings regarding the MPharm course and given a campus tour. The 12 of us were then divided equally into 2 groups and were assigned to different sections of the interview. My first session was actually a group activity where we were each given several cards with different information, and all we needed to do was solve a mystery together. It turned out pretty fun and it actually calmed me down. Though they informed us that it’s just a group activity, in my opinion it was to evaluate our soft skills. Thus, do your very best, and that will do! My next interview session was divided into 6 stations. In the beginning, we were all assigned to different stations. Each station had a time limit of 5 minutes, and we had to move to our next stations when the whistle was blown. The questions asked were not the typical questions such as why you want to study pharmacy, etc. 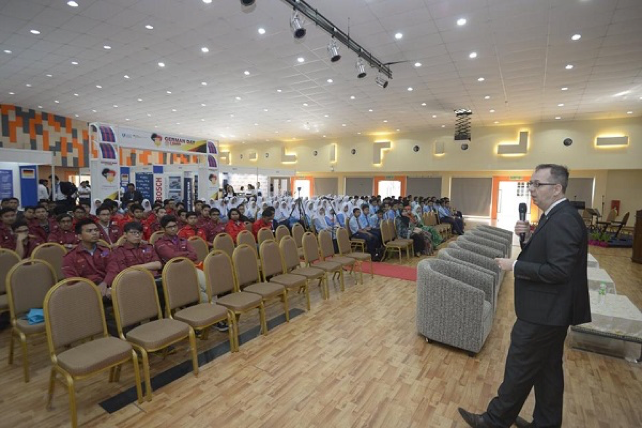 Instead, the questions all revolved around Mathematics, Chemistry, Biology and general knowledge regarding the pharmaceutical field. Though what I had prepared for my interview was about the soft skills I had that make me eligible to be a pharmacist, this actually helped me in answering certain questions. The interviewer will eventually lead you to get the answer so always keep calm so that you are able to think well. Overall, that’s it for you to get a place in UNMC to take up MPharm. I would like to say that the early bird catches the worm, so apply earlier if you are interested! Also, utilize your free time to plan your personal statement well. Do believe in yourself, and all the best! Chong Kai Qian is a JPA scholar currently pursuing her pharmacy degree at University of Manchester although she also received an offer from University of Nottingham Malaysia.